Does the usage on the night tube justify expanding night services to the overground? I am worried about the financial costs of this, given the fare freezes and the already tight budget with government reducing available funds. I suspect this has been carefully considered and given it would have been priced under the competitive pressure of bidding for the whole Overground concession contract the price is probably reasonably affordable. I expect TfL will have budgeted for this following discussions with City Hall as to how the Mayor wanted night rail services to develop. The next phase of service expansion for the Overground will be operation of Boxing Day services - another priced contract option but obviously with a dependency to whatever engineering works Network Rail are undertaking. Not sure the GOBLIN will be getting a Boxing Day service this year! Unfortunately the TfL planned closures list has not reflected Christmas and New Year 2017 yet despite us having leapt into July so we can't see what is running and what is closed for engineering works. One question springs to mind; has Arriva or TfL entered into negotiation with the unions or the staff over the necessary changes to terms and conditions that would allow overnight passenger services? Or are they doing the same as they did with Night Tube and announcing the service before discussing it with the people who will have to do the work? Based on remarks elsewhere I gather all is not well in "driver land" under Arriva Rail London. The situation would appear to more in the realms of your final sentence rather than the preceding one. Let us hope that due process gathers pace quickly. Not if past experience is anything to go by. All night running on LO (New Cross Gate to Dalston Junction/Highbury & Islington) by 2017 was first mentioned in February 2015, now they announced a start date in December we can probably expect strikes in October and November with all night services sometime next year. Those both happened in BR days. Indeed in 1960 both BR and LT were nationalised, although in 1975 LT was in municipal ownership. Apologies - I was reading NR as just meaning mainline railways. Indeed, but the distinction is significant because when they were in public ownership no sale (even for a nominal £1) would be needed to transfer responsibility from BR to LT or vice versa. I wouldn't go so far as to say strikes will happen, the issue is we have already have night turns, however these night turns aren't in passenger service. That's where a major change to previous agreements come in. Also company and union haven't even had a single meeting about the introduction yet, that's why it was incredibly premature to announce already. We've known since November that it was part of ARL's concession agreement to introduce 24 weekend running. NXG depot will be the only one that has 24 hour running, so it's also going to be tricky to change T&Cs as they'd have to be done company wide. Union and management really needed a lot more time to sort it out. I think getting everything in place and then announcing the introduction would have been the best thing to do. I think the introduction will be smoother for ELL than for the tube overall, however we also have to factor in hiring more station staff, more train care operatives etc. What is there to actually sustain a night time service on the ELL? Surely Shoreditch High Street wouldn't generate sufficient traffic to warrant such a large section of line running all night? What other hubs are there that I'm not aware of? Canada Water and later Highbury and Islington will see a lot of interchange traffic, as will Whitechapel (which also has the Royal London Hospital, a 24-hour traffic generator) when it opens. 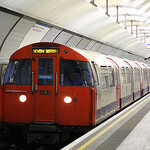 The Shoreditch nightlife area extends to at least Hoxton and the line will attract passengers from the Old Street area too. New Cross Gate is a significant hub for night buses, and Canada Water is at the centre of a large residential area. I doubt the line will struggle for traffic. As Chris M says there is a vibrant nightlife scene in Shroreditch. The whole area from London Bridge through to Hoxton jams solid with traffic jams because congestion is so bad in Shoreditch at night. Dalston (yes Dalston!) has developed a night time "scene" with bars, clubs and restaurants and there has long been activity in Islington. I agree with Chris that Canada Water will be a significant interchange and don't forget all the students in and around New Cross itself. There are some half decent pubs, bars and eateries there too. NXG also has reasonable night bus links so I can see people linking to the Overground night service. It is worth noting in passing that Citymapper have put in a request for a London Service Permit to operate a frequent weekend night bus service from this month from Highbury through Dalston to the Hoxton and Shoreditch area. They have several former Abellio single deckers already painted in green livery for the service!! They obviously feel there is money to be made from such a service and they will know what journeys and at what time people are trying to make via the app usage data. Like the Overground the Tube had night turns that weren't in passenger service between 1:30 and 04:30, we still have them Sunday to Thursday plus we had an agreement on overnight passenger service for three "special events" a year although we normally only had one on New Years Eve. Like the Overground not all depots were effected by Night Tube, initially on the Central Line only White City and Leytonstone would have provided drivers, West Ruislip, Hainault and Loughton would have been excluded but the changes to T&Cs would have been company-wide, even the lines which weren't getting Night Tube. And like the Overground we knew that Night Tube was coming long before negotiations with the unions began, it seems that TfL are doomed to repeat the same pattern, failing to learn from its previous mistakes. I hope it doesn't lead to a strike but if their approach is the same as with Night Tube they'll offer a bonus to get you to accept the night turns initially but after a year you'll be doing them as part of your regular shift pattern for no extra money. The issue isn't that you already have night turns, it is that many more night turns will be needed on Fri/Sat nights, this effectively means loads more weekend work as they will not be balanced by extra turns during the week. Additionally it also means weeks consisting of 2 nights and three days, meaning finishing 8am Sunday morning and having Sunday as a rest day. These were the big issues on the underground and, as Aslef Shrugged says, are exactly the same for the overground. The Mayor of London, Sadiq Khan, has today announced that Night Overground services will begin in east London on Friday 15 December, making travelling at night even easier for thousands of Londoners. The 24-hour services will operate on Friday and Saturday nights on the London Overground between New Cross Gate and Dalston Junction, extending to Highbury & Islington next year. This will help Londoners working through the night as well as those enjoying east London's thriving nightlife. Due to Crossrail work taking place at Whitechapel station, London Overground night services will initially not call at the station until works are complete. Services are expected to call at the station from summer 2018. TfL have now updated their Overground timetables page. There is a separate pdf for the Night service. Why does the line diagram show New Cross between Surrey Quays and New Cross Gate? EDIT: See what I mean? That would imply that you could catch a train from New Cross to New Cross Gate . . .
Slightly surprising that the diagram doesn't show Whitechapel exists. It's not wrong exactly as the night service wont serve there until the Crossrail works are complete, but potentially confusing for someone trying to navigate during the day with a night map or vice versa. Would have been better to include but "crossed through" with a suitable notice as they do for the car line diagrams / tube maps during station refurbs / lift replacement. Going to be interesting to see whether or how the in car information is handled on Night Overground services while Whitechapel remains closed to such services.